Love resides at the core of all that we experience. We are called upon to view everyone we meet as a teacher. When we bring openness and humility to our interactions, something new emerges. Rather than seeing some as broken, wounded or evil, see them as absolutely necessary for your souls growth. How can you approach those who challenge you with love in your heart? The best way to learn is to listen. Observe what others project and you will gain great insight. Your insight will lead to compassion and compassion will create the space in which transformation is possible. You have a great deal to offer. Your consciousness has the power to awaken the consciousness in others. 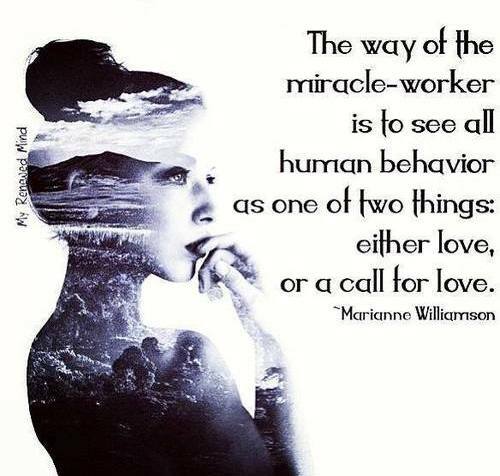 Even if you must distance yourself temporarily from toxic behavior, you can shower that person with white light, healing, gratitude and love from afar. Plants seeds of kindness and nurture them with joyful expectation.